If you bought a detached house in the City of Toronto four years ago then good for you! 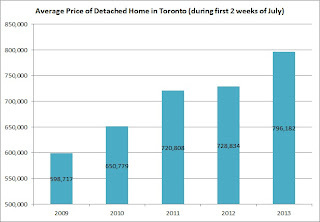 The average detached house price increased by almost $200,000 between 2009 and today. 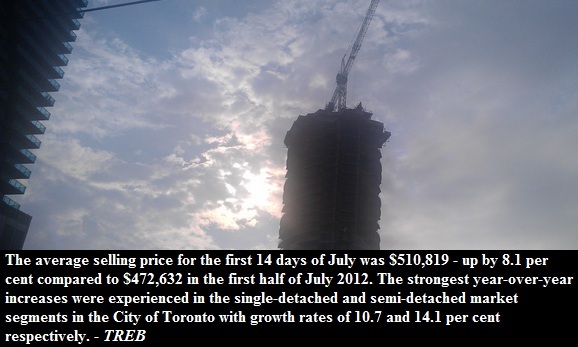 Toronto housing bubble anyone? 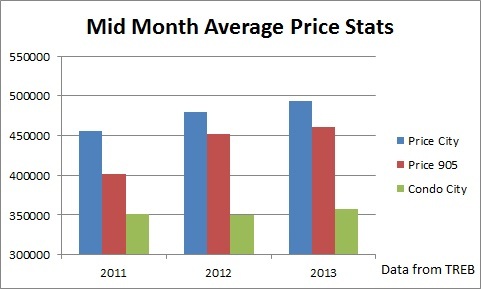 At the same time, the average condo price in south Etobicoke went up by over $130,000. Now the question is by how much did your income increase? 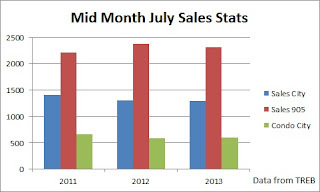 During the first two weeks of July, sales have been essentially flat as they fell by 2% from a year earlier. The average home price in the Greater Toronto Area went up by 8.1% to $510,819.